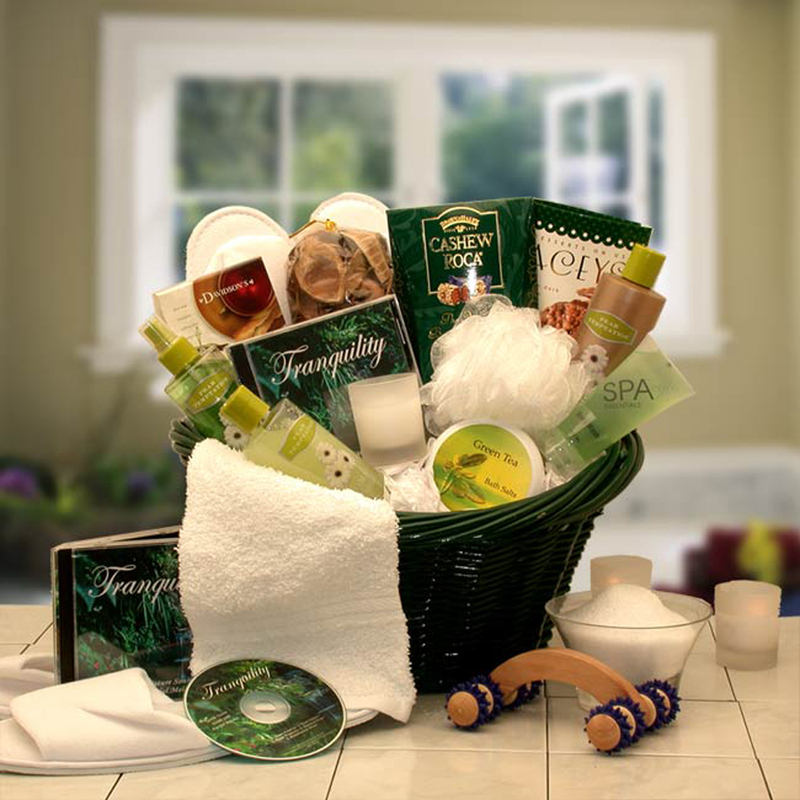 The Spa Luxuries Basket is a gift of invigorating Eucalyptus essence that soothes the skin and the senses. They\'ll coo over creamy body butter, refreshing body Spa scrub, luxuriant body lotion and the other body care products that both rejuvenate the spirit and slightly spoil it. You may have to buy a basket for yourself. A tranquility soothing sounds Cd. Moisturizing body lotion. invigorating bath salts. moisturizing Bath and body gel. soothing body butter. bath Loofah ball. soft terry cloth headband. Assorted toffee chocolates. herbal tea. foot massager. aromatherapy candle. aromatherapy potpourri. soft face and hand towel. glycerin soap. aromatherapy drawer sachets.